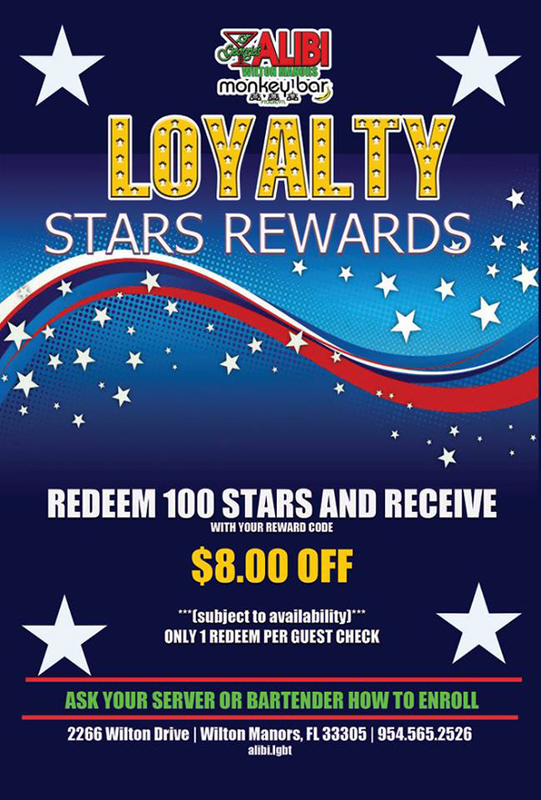 Join our loyalty program and save! 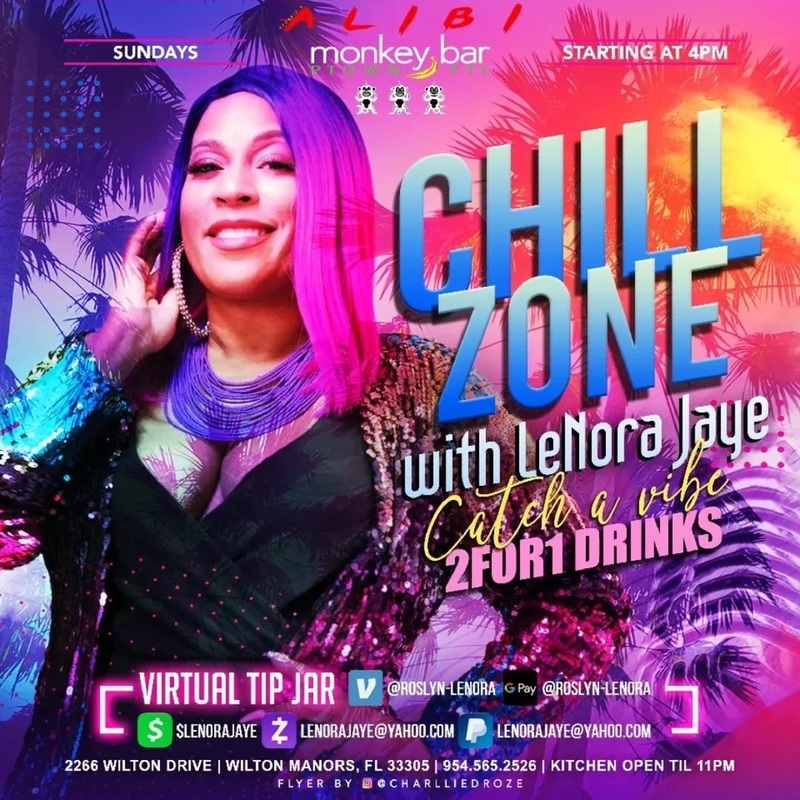 Celebrating 21 years, Georgie's Alibi Monkey Bar is one of south Florida's longest running, and, one of the country's most successful gay; restaurant, bar and nightclubs rolled into one. Located in Wilton Manors, one of the gayest cities in the USA surrounded by Fort Lauderdale where sub tropical weather and beaches are here for your year-round enjoyment. 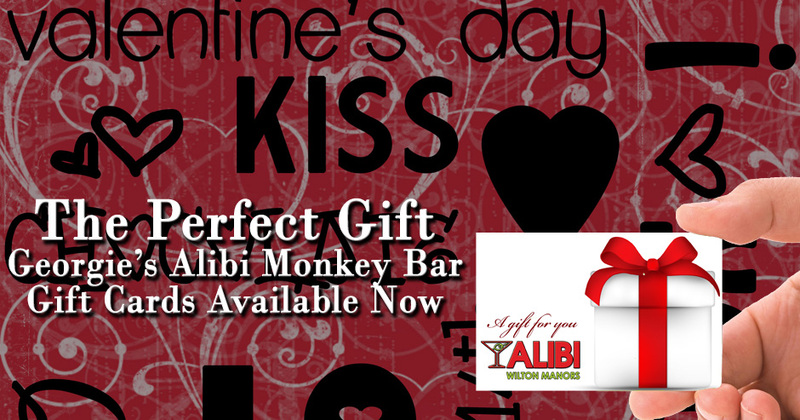 The club consists of 4 distinct areas, the Main Bar, the Sports Bar, the Monkey Bar, and The Patio. As one of the busiest venues in Florida with an award winning full service restaurant, and more live entertainment than any bar in the area, you will find something for you. Jennifer McClain - Congratulations Jennifer! Daisy Deadpetals - Congratulations Daisy! Thank you to all of our friends, family and customers for once again putting us in the top 10. We look forward to bringing you even more and making it another fun filled year. We couldnt do it without your continued suppport! Thank you. The construction is complete and the entrance to the Shoppes of Wilton Manors has finally reopened. However, the construction project to narrow Wilton Drive continues. Expect delays when driving anywhere from just north of NE 4th Avenue and NE 16th Street in Fort Lauderdale all the way to the intersection of Wilton Drive and Dixie Highway at 5 points. Many of the street parking spaces are closed and you will be ticketed if you park there and the orange barrels are in that section. There are no "No Parking" signs so be aware of this bad practice. Allow extra time for traffic and finding parking. The city's solution is laughable suggesting "ride-sharing" when going out. Construction on the east side of Wilton Drive from NE 21st Ct to NE 6th Avenue (our entrance) is nearly complete leaving only the installation of plant materials and striping. The same section on the west side has just begun. The east side from NE 6th Avenue to NE 9th Avenue is in process or about to begin. Same section, west side has not yet started. Ask your server about these specials and our soups and dessert of the day.